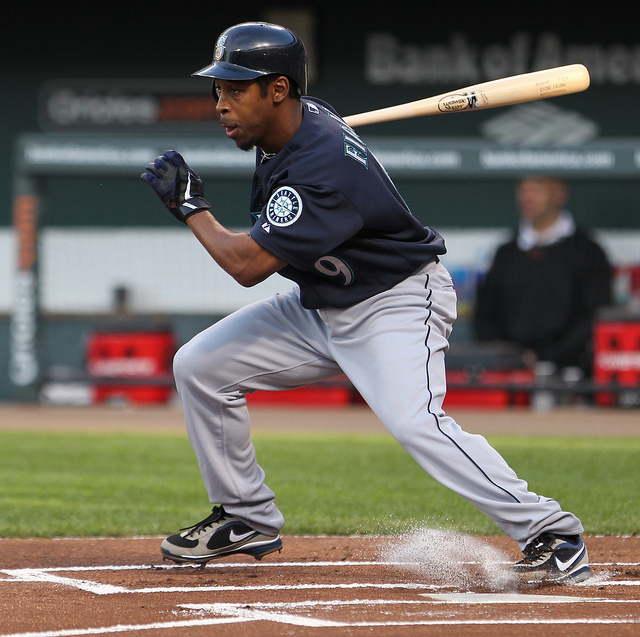 I don't normally like to single players out and make them a goat, but Chone Figgins was absolutely horrific today. As the season goes on, he seems to be getting worse. He wasn't the only one not hitting today, and the M's did have some tough breaks, but Figgins play in the field was inexcusable. With two outs in the first, Figgins made an error that came around to score the Nationals first run. The M's tied the score in the fourth inning with a run of their own after a Justin Smoak double, backed by a Miguel Olivo single to score Smoak. The bottom of the inning would prove to be the clincher for the Nats as they scored another run, this time on a Miguel Olivo error when he overthrew second trying to throw out a runner. The ball went into the outfield as it sailed far to the right of second baseman Jack Wilson. Espinosa advanced to 3rd on the play. Bedard struck out the next batter and then faced Hairston. Jerry Hairston Jr. hit a hard grounder to third that was fielded by the shortsop Brendan Ryan who didn't have enough time to get the out at first. Figgins however, with momentum going the opposite way of Ryan should have made that play. In my opinion the effort wasn't there at all. So the Nationals won the game by a score of 2 - 1 and once again our starting pitcher cannot get a 'W' for an outstanding performance. Erik Bedard gets handed the loss in an effort in which he gave up zero earned runs while striking out 10 batters. Our offense wasn't incredible today, nor has it been all season, so a team that prides itself on a strong bullpen and stellar defense has shown the exact opposite in the past two days. Dustin Ackley was called upon to pinch hit in the 7th inning and smacked a hard grounder up the middle on a 99 MPH fastball. That gives him a 5 game hit streak since coming to the BIGS. He did not start today's game. Figgins closed out the game in the ninth when he watched three straight pitches without taking the bat off his shoulder to strike out. While Figgins has struggled the entire year, it is becoming apparent that it isn't getting better but is in fact getting worse. In a post game interview with Eric Wedge, he stated that Figgins was "sure as hell walking a fine line." This in regards to his continued struggles and when enough is enough. For us as fans it is enough. The Houston Astros helped us out tonight by getting to the Rangers in the ninth inning of their game and winning 5 - 3. That leaves the M's at two games back in the AL West as they finish off the series tomorrow against the Nats by sending Pineda to the hill. It's obvious that stellar pitching will not be enough for the M's as I'm sure we will once again see a different lineup from Manager Eric Wedge tomorrow. We'll see if Figgins gets to play. Hopefully not.